This volume sets out, for nine significant legal systems, an overarching conception of risk in legal theory, particularly of the linked role of risk-taking in generating liability and in liability regulating risk. It is the first book-length comparative attempt to explain what risk-based reasoning adds to private law, with a core focus on the law of tort. januari 2018 | xxxii + 532 blz. Regulating Risk Through Private Law sets out, for nine significant legal systems, an overarching conception of risk in legal theory, particularly of the linked role of risk-taking in generating liability and in liability regulating risk. 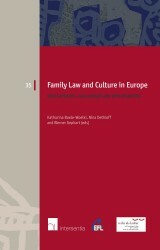 It examines and explains what risk-based reasoning adds to private law. 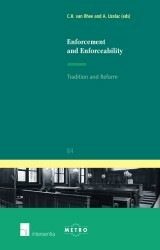 Taking tort law as the core case study, the book analyses national variation in risk understanding, liability, culture and regulation and from that, develops a legal framework for understanding and responding to risk. Then, looking beyond tort, the volume examines the contextual and cultural setting of different risks and how different legal systems seek to regulate them. The volume draws on more than 25 leading scholars of private law and risk from around the world to develop a coherent and systematic study of risk. 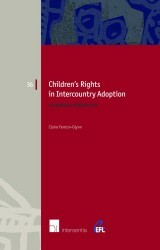 The legal systems included span the common law and civil law, large and small, codified and uncodified, as well as those with wider and narrower strict liability rules and causation rules: England and Wales, France, Sweden, Italy, Spain, the Netherlands, Chile, South Africa and Brazil. 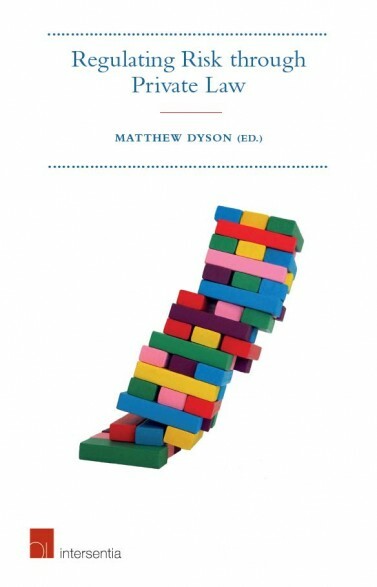 Matthew Dyson is an Associate Professor in the Faculty of Law, University of Oxford, and Tutorial Fellow of Corpus Christi College. Previously, he was a Fellow of Trinity College and Jesus College, Cambridge. He is an associate member of 6KBW College Hill Chambers, a Research Fellow of the Utrecht Centre for Accountability and Liability Law and Vice President of the European Society for Comparative Legal History. He is the editor of Unravelling Tort and Crime (2014), Comparing Tort and Crime (2015) and Fifty Years of the Law Commissions (2016). 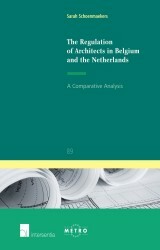 With contributions by Cristián A. Banfi (University of Chile), Bernardo Bissoto Queiroz de Moraes (University of Sao Paulo), Mia Carlsson (Stockholm University), Nadia Coggiola (University of Turin), Matthew Dyson (University of Oxford), Anton Fagan (University of Cape Town), Duncan Fairgrieve (University of Paris-Dauphine PSL), Richard Fentiman (University of Cambridge), Sandra Friberg (Uppsala University), Bianca Gardella Tedeschi (Università del Piemonte Orientale), María Paz Gatica (University of Chile), Ivo Giesen (Utrecht University), Michele Graziadei (University of Turin), Cyril Holm (Uppsala University), Elbert de Jong (Utrecht University), Marlou Overheul (Utrecht University), Ignacio Maria Poveda Velasco (University of Sao Paulo), Alistair Price (University of Cape Town), Otavio Luiz Rodrigues Junior (University of Sao Paulo), Albert Ruda (University of Girona), María Agnes Salah (University of Chile), Helen Scott (University of Oxford), Sandy Steel (University of Oxford), Jenny Steele (University of York), Simon Taylor (University Paris Diderot), Eduardo Tomasevicius Filho (University of Sao Paulo) and Véronique Wester-Ouisse (Deputy Prosecutor at the Court of Appeal of Rennes).